Is it time to replace your roof? Are you getting leaks due to roof damage? There is no need to prolong the inevitable, especially when you can receive a roof installation by LYF Construction at a reasonable price! LYF Construction has been installing and replacing local roofs since 2003, and we'd love to help you too. There are many colors, textures, and styles to choose from. Give us a call today and we can visit you in your home at a convenient time, show you some options and provide a free quote. Why Choose LYF Construction for Your Roof Installation? Affordable: We'll work within your budget to provide the best quality roof possible at an affordable price. There are many great roofing options with excellent warranties to choose from. We'll help you match a roof to your goals and budget. As a roofing leader in the area, we pride ourselves in taking the time to hear your concerns and answer any questions you may have. Professional: When severe weather hits, it's important that your roof will withstand the potential damage and protect your home investment. 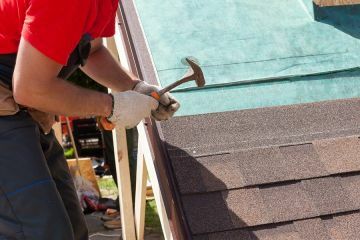 The professional roofing crew here at LYF Construction will respect your investment. We will cover and protect your shrubs and outdoor furniture and leave your home just as we found it. We'll respect the needs of your family and work around your schedule. Call us today for a free quote! Quality: Yes, you really can have an affordable roof that is also of great quality. Our roofs will list for many years. Ask about our warranty program. We'll also provide a list of references if you'd like to chat with some of our happy customers who's roofs have kept them dry and secure for many years. Yes, You Can Have it All with LYF Construction! For professional, knowledgeable crews who will respect your property and provide the best quality roofing service at a fair price, look no further than LYF Construction. We'll get it right the first time!